We have since continued the tradition with our kids and each other- but last year my husband forgot to get me an ornament until late Christmas Eve. He locked himself in my craft room and emerged an hour later with a very interesting handmade ornament for me. It was wonky, and it was obviously made by someone who has never wielded embroidery floss, but I loved it. It got us thinking that it would be fun to put a spin on tradition and make each other ornaments every year. 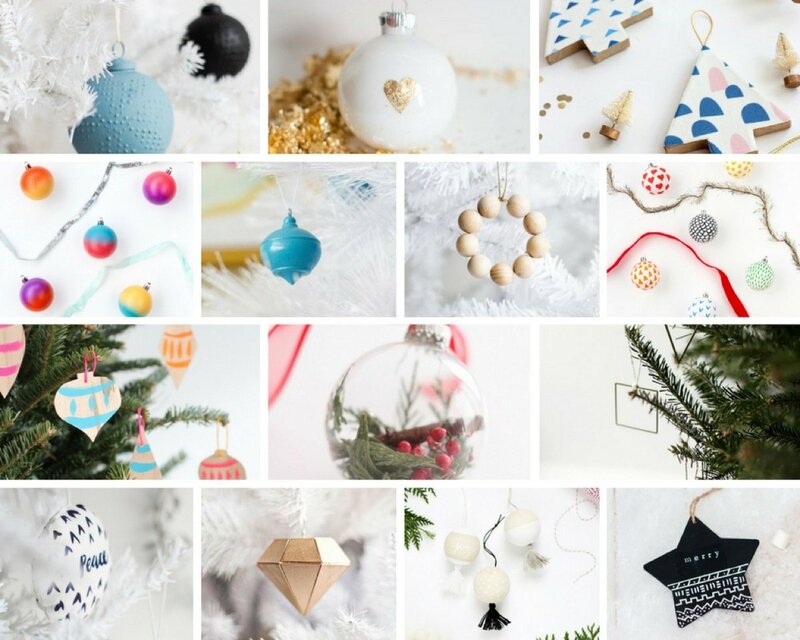 We've separated these DIY Christmas ornaments by theme, so there's sure to be a project for every taste and style. Keep scrolling! What style of DIY Christmas ornaments are you using on your tree this year? Let us know in the comments! Try this effective photo transfer technique for a personalized ornament. Cute little car and a tree? Easy enough. A classic to try: gingerbread dough ornaments! Or try this alternative baking soda dough for a fluffier look. Freshen up your tree with these hand-sewn versions of the classics you're used to. Find out more here. Add texture and paint to plain white clay to get this effect. Check out the instructions here. A cute porcelain-looking wreath works as both an ornament and a gift-topper. Try this cute and simple mini snow globe (and make me one too, because gah! It's just so cute!). This printed paper ornament is classic, yet unique. How about an etching project this weekend? How nifty are these melted peppermint do-it-yourself ornaments? DIY string ornaments that double as both gift toppers and place cards! Personalize your tree with clay monogrammed ornaments. We think these gilded pinecones would look lovely on a tree. And check out this neat technique for creating DIY stained glass Christmas ornaments! Sweet little hearts made from cinnamon and applesauce are sure to spice up your tree. This rustic star-shape is actually made from clothespins! This argyle ornament would be a cozy addition to your tree. 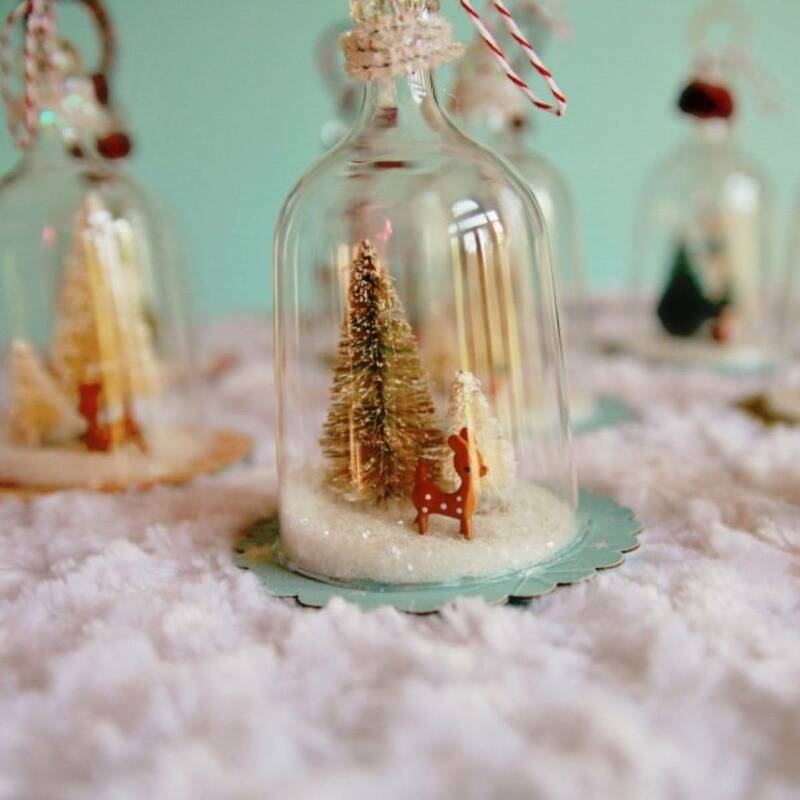 Simple snow globes are merry and bright. A few natural clippings looks wonderful in a glass ornament. Or go for the full-blown terrarium! Check out these botanical temporary tattooed ornaments. Or a more classic technique - decoupage. Learn how to hang simple frosted pinecones. These DIY Christmas ornaments preserve nature forever. 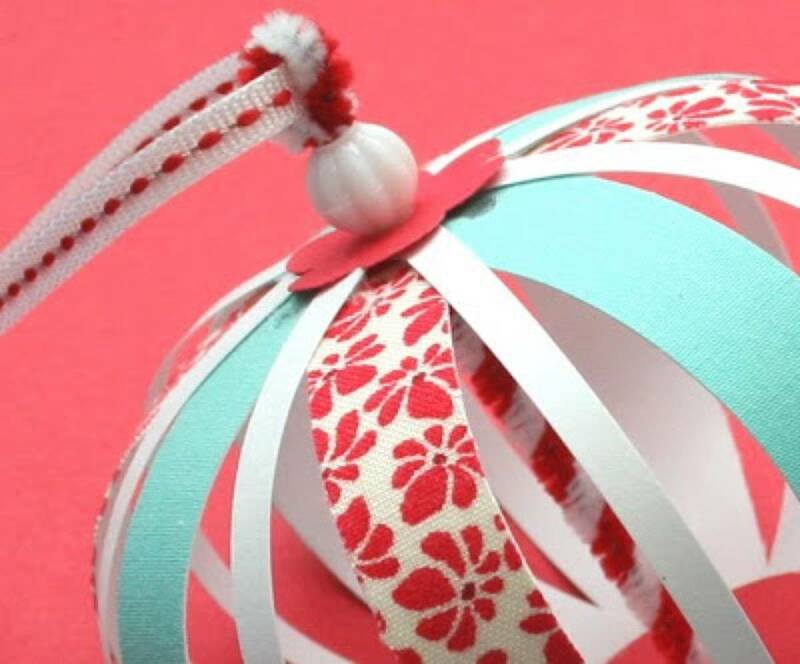 A little scrap of floral fabric makes this simple do-it-yourself ornament unique. These hand-painted wooden ornaments can be ready in a jiffy! Neon and gold will give your tree a modern vibe this Christmas. Get the tutorial here. A sweet little scalloped edge adorns these DIY modern Christmas decorations. Tassels are a fun addition to your tree as well - find out how to make these yarn tassel ornaments here. Color blocking and a fresh color scheme give these Christmas ornaments a thoroughly modern vibe. Find out how to make them here. Grab some felt and whip up a few of these bad boys to grace your mod tree! High-gloss wood ornaments would go great with a modern theme. Make faux ribbon candy out of felt... find out how here. 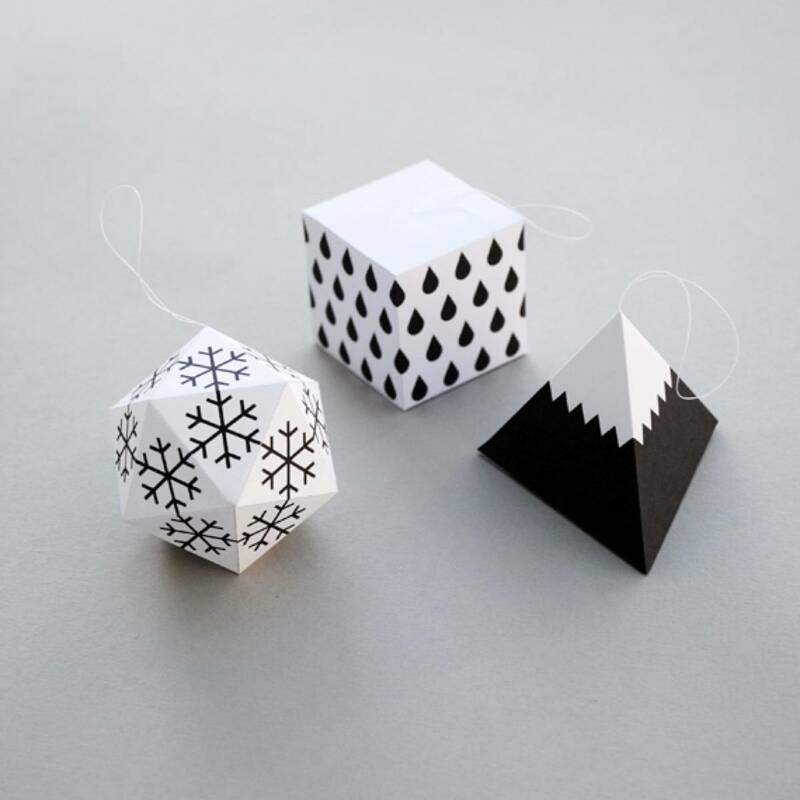 These geometric ornaments are made using a free printable. Easy! Like bright? Check out these mod neons. These felt ornaments are given a fun twist (pun intended!) with the addition of neon yarn. Learn more here. It doesn't get more fun than some confetti-filled, color dipped baubles. Mod Podge and glitter is all you need to make these colorful DIY ornaments! Easy color block ornaments to add to your DIY modern Christmas decorations collection. These fringe piñata ornaments are super festive! These painted ornaments mimic stained glass! A few felt rounds stitched together make for cute DIY Christmas ornaments. These spray-painted color block baubles are so fun! Try your hand and some painted patterns. Or grab a marker for these simpler patterned ones for fast-craft DIY modern Christmas decorations. These are actually billed as gift toppers... but they would make great ornaments too! Check them out here. Break out your origami paper for this project. 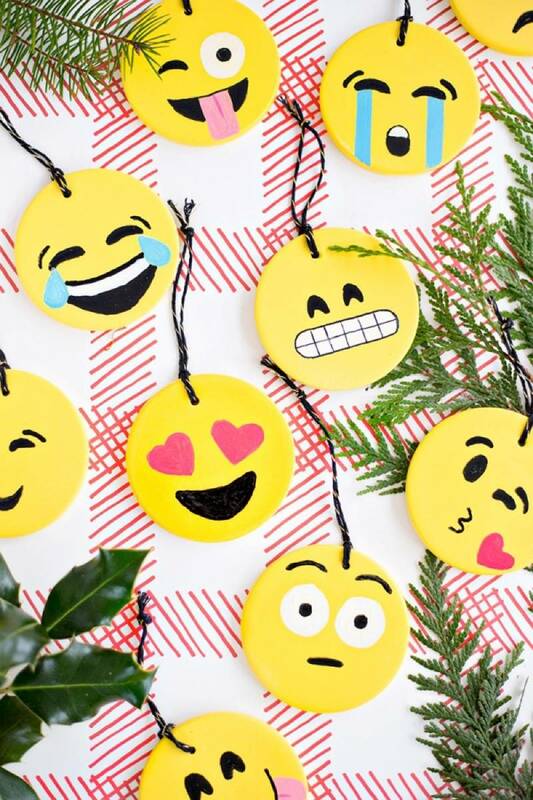 Express yourself with some emoji ornaments. I mustache you a question... how much do you love this DIY Christmas ornament? Or you might want to hang a colorful donut on your tree... here's the tutorial. Speaking of sweets, check out how easy it is to make mouth-watering cupcake baubles! These mischievous-looking stuffed elves would go great on your tree. Give rustic decor a modern update by adding some color. Find out how to make these felted acorns here. Hang a likeness of your favorite pooch (or kitty!) with this tutorial. Speaking of furry friends, check out these framed photos in bottle caps. Make your macarons last through the entire holiday season by creating them out of felt! Here's the tutorial. These pun-tastic animal ornaments are offered as a printable! Easy, and ridiculous. 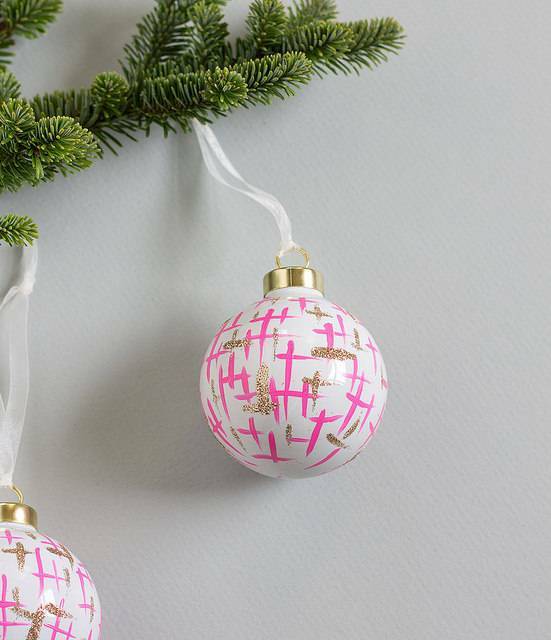 You totally have time to make these quick and cute painted ornaments. And how about a likeness of you and your boo in this shadowbox? These polymer clay ornaments are made using cookie cutters. Teeny gingerbread gift toppers that double as ornaments - and they're made from shrink paper! Hello! How glamorous is this easy diamond? For the fanciest of trees, make a geode ornament. A little gold leafing can add a magical tough to your tree. Make these personalized monogram ornaments. These adorable DIY Christmas ornaments are both shinny and piney! Get it - pinecone? Or how about a cute lil' gemstone? Loving these glamorous gold-dipped ornaments. This gold-thumb tack ornament is anything but tacky! Try this super fast glitter-filled ornament. Got a bunch of old CDs lying around? Then you can make one of these mosaic baubles! Create faux metals to hang. A little tinsel goes a long way with these baubles. Add rhinestones to your ornaments for some bling! Sequins are always a festive material to work with... check out the tutorial for this fun ornament here. These patterned ornaments have a playful feel, thanks to the modern hot pink and gold color scheme. Learn how to make them here. These confetti-filled glass ornaments have party written all over them! Get the tutorial here. Custom glittery initials! These DIY Christmas ornaments would also make great gift toppers. These ornaments look contemporary thanks to the fun color scheme. Learn how to make them here. 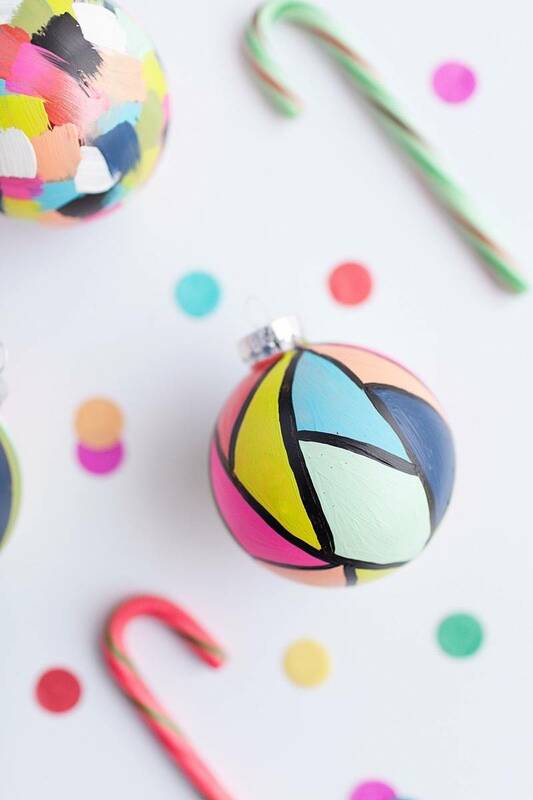 You'll be surprised how easy these abstract color-block ornaments are to DIY! This DIY snowman is kid-ready but also super cute. An easy-to-make igloo from cardboard! Speaking of twigs, these stick-like monogram ornaments are actually made from wire for easy customization. I want to make a dozen of these hanging terrariums ASAP. Art camp throwback! Make a few God's Eye DIY Christmas ornaments. Glittery pom poms add some serious pizzazz to these contemporary ornaments. Get the how-to here. Mini lanterns that kids can make! Add your favorite temporary tattoos to an ornament. Melted peppermints in cookie cutters seems like it would be experimentally-fun! With chalkboard ornaments, kids can redecorate their ornaments every year! Kiddos can even make beautiful ornaments out of paper and non-toxic paint. Learn more here. Check out these printable sewing cards your kids can hang with pride. 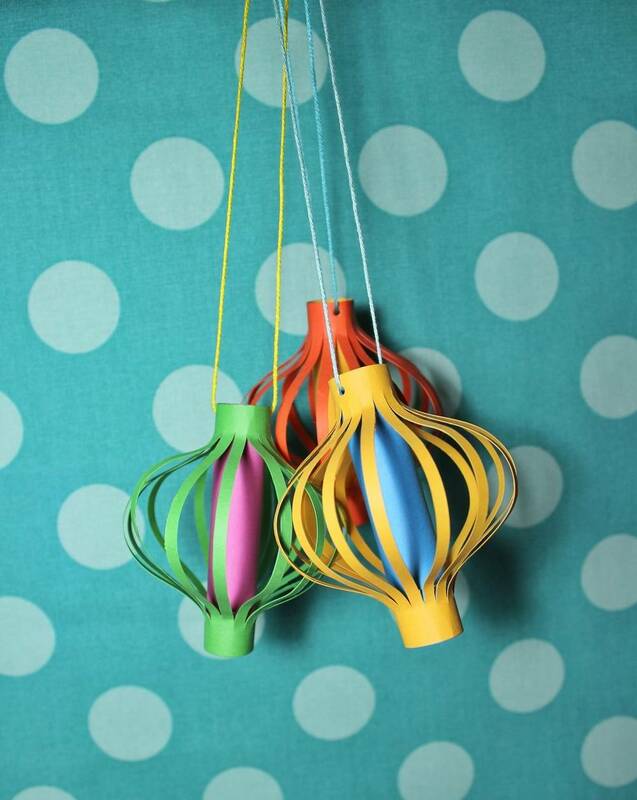 How about some old-school DIY string ornaments? This unique ornament is made with clay and embroidery floss... check out all the details here. Your kids won't be able to make these glitter animals all by themselves, but they'll probably be their biggest fans. These painted trees are easy and fast. 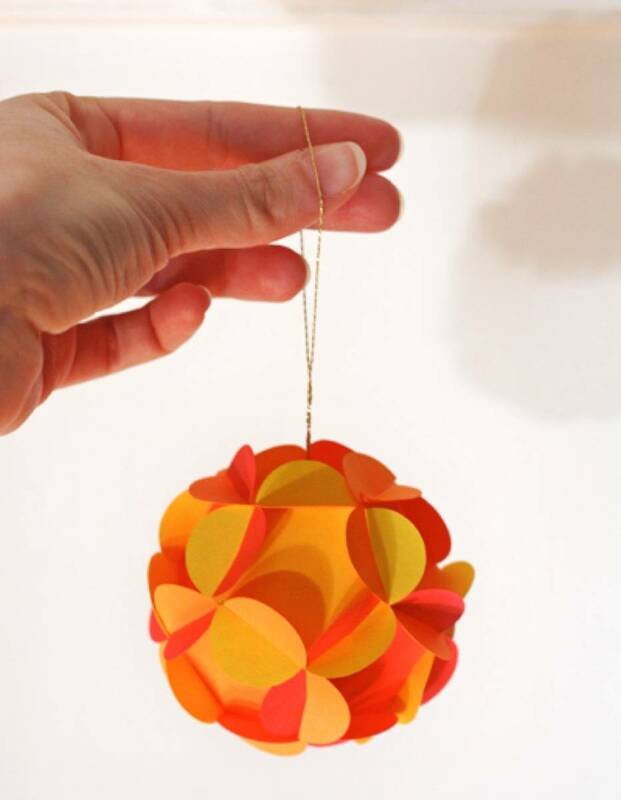 An uncomplicated paper flower ornament. What a combo! Pom-poms and pinecones. And if origami is your kid's strong suit, let them give these beautiful folded paper ornaments a try. Learn more here. Take those origami skills to the next level with this polyhedron-shaped bauble! Did you make salt dough ornaments as a kid? Going for a clean look? Try these clay mountains. Or these sillier Scrabble ornaments. These geometric wire ornaments say, "Don't overthink it." These look easy - use clay to make marbled ornaments. Wood + string = unique gemstone ornaments. 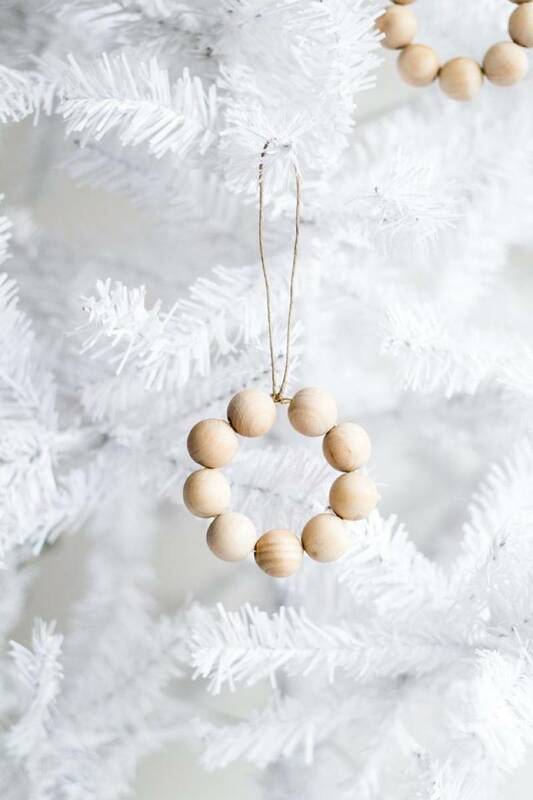 I'm in love with how cleverly simple this wood wreath ornament is. Woah! Leather ornaments? Now we're talkin' trendy. Go for a deconstructed look with this tutorial for wood block ornaments. These wood tassels would look cute on your minimalist tree. These gorgeous wooden bead ornaments couldn't be any easier to make... find out all the details here. Don't you just adore these pillowy watercolor baubles? These tasteful winter decorations in black and white are available to download and print here. These sweet trees are made from black leather. So simple! Delicate clay ornaments like these would make a lovely addition to your tree! Hung from a simple string, these stamped washers would fit right in to a minimal scheme. Mod paper ornaments that can totally be done on the fly. This 3-D paper ball ornament looks like some sort of retro lampshade. Glitter starburst ornaments that are totally far out. Getting strong retro vibes from these mid-century dipped baubles. Add a modern feel to the retro lantern shape with this colorful idea. Learn more here. 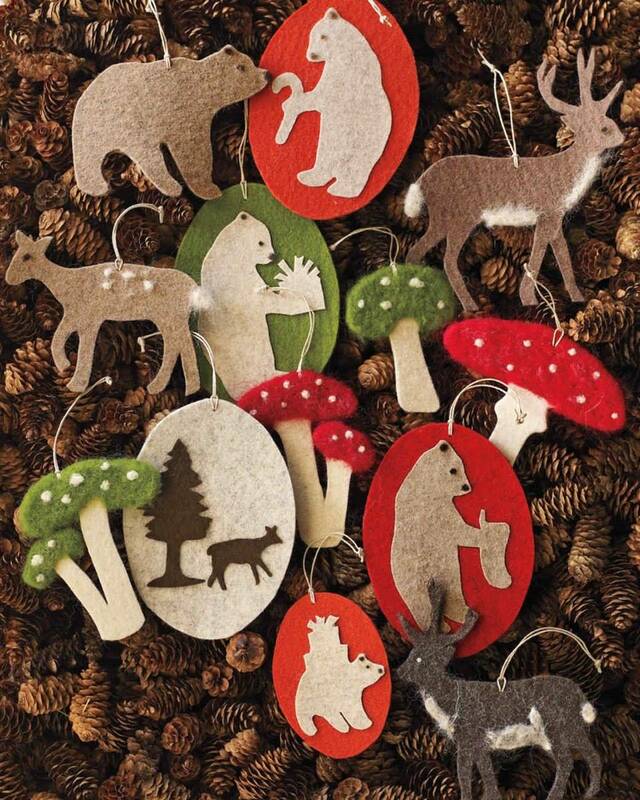 Absolutely want to make one of these kitsch ornaments. 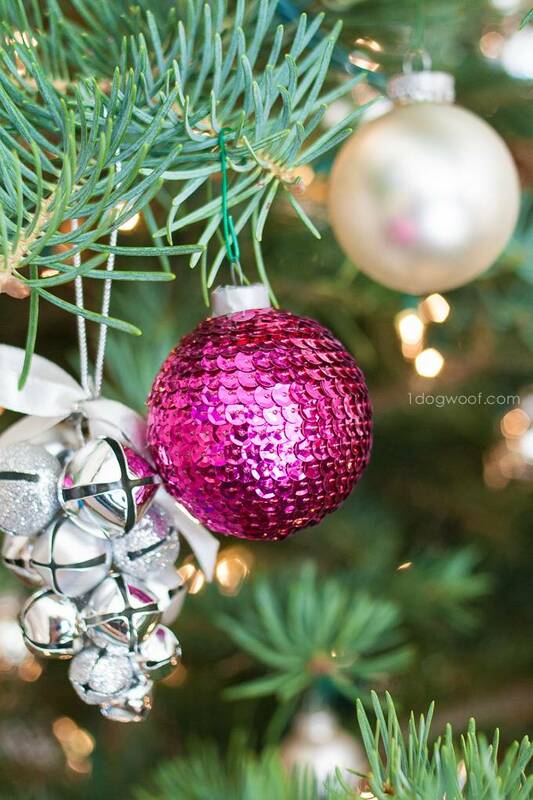 How cool would a few of these DIY mercury glass ornaments? So vintage. Whether you want to frame pretty papers or copies of old photos, these do it yourself ornaments are unique and festive. 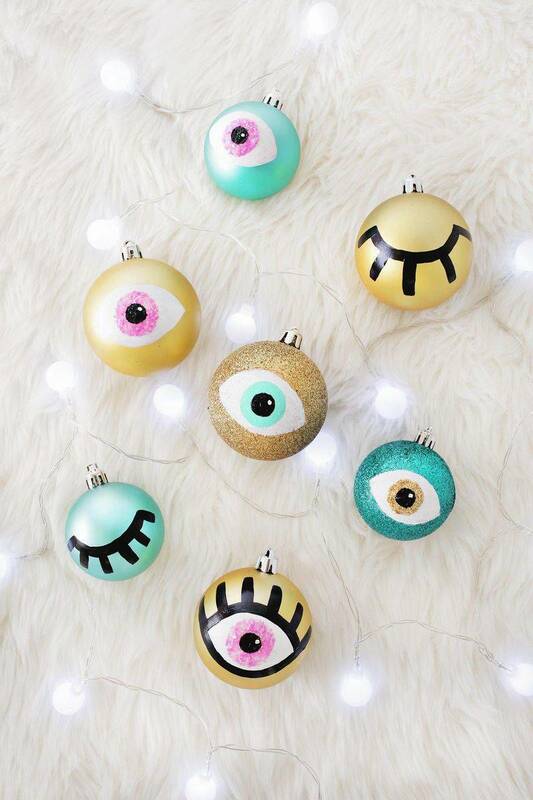 Adorable vintage-inspired ornaments. Too cute! Look at these fabric-covered trees! 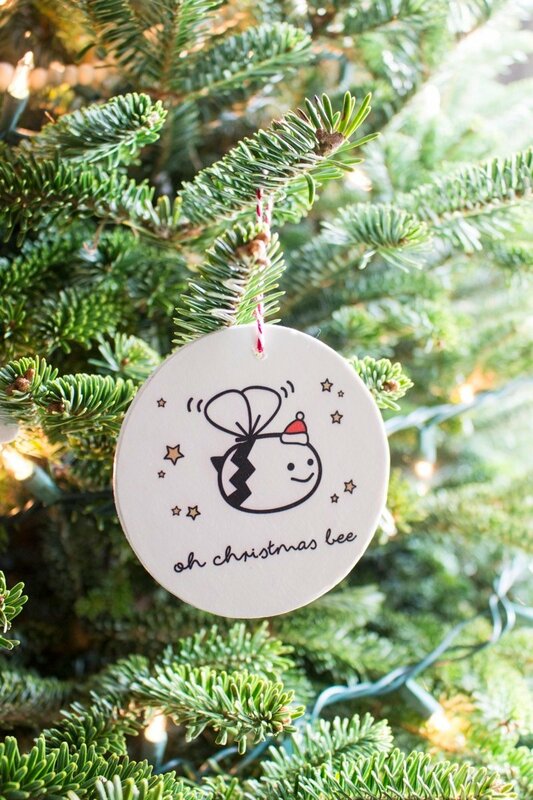 This might be the cutest one on this DIY Christmas ornaments list. These yarn-wrapped ornaments seem easy enough! Easy Christmas decorations DIY: These paper and fabric ornaments sure are fun! Paint wood ornaments to fit a more mod theme. Felt ornaments with some seriously retro vibes. Cinnamon Himmeli ornaments that smell as good as they look! 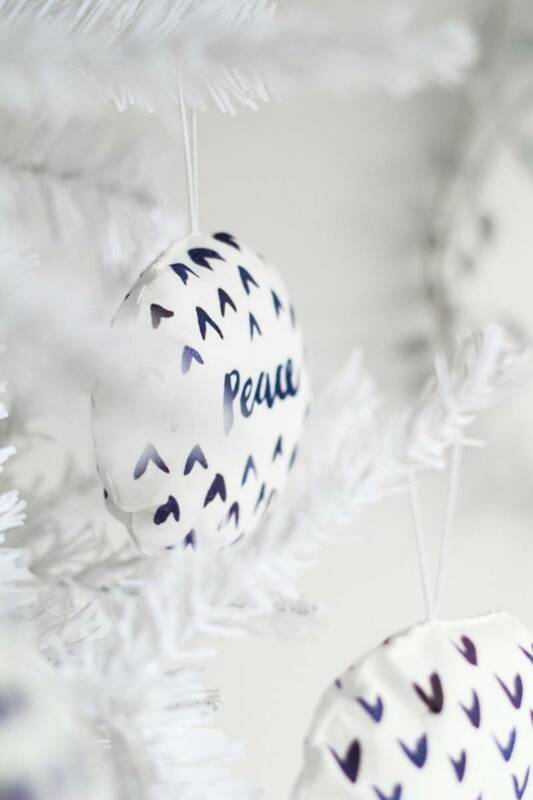 Print a few Scandinavian ornaments to grace your greenery. Himmeli is made easy in this tutorial for colorful geometric ornaments. How cute are these Dala horses? As cute as these pinecone gnomes?? Stack some felt to make these teeny trees. 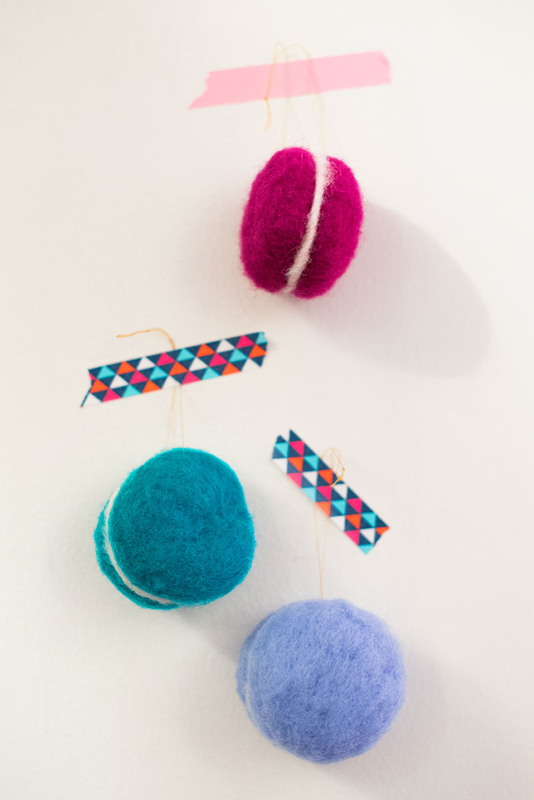 Fuzzy felted ornaments like these are a fun and simple Christmas decorations DIY project. Glittery gold pipe cleaners take a Himmeli shape with this tutorial. Toothpicks + Washi tape = SUPER SIMPLE Christmas decorations DIY project! 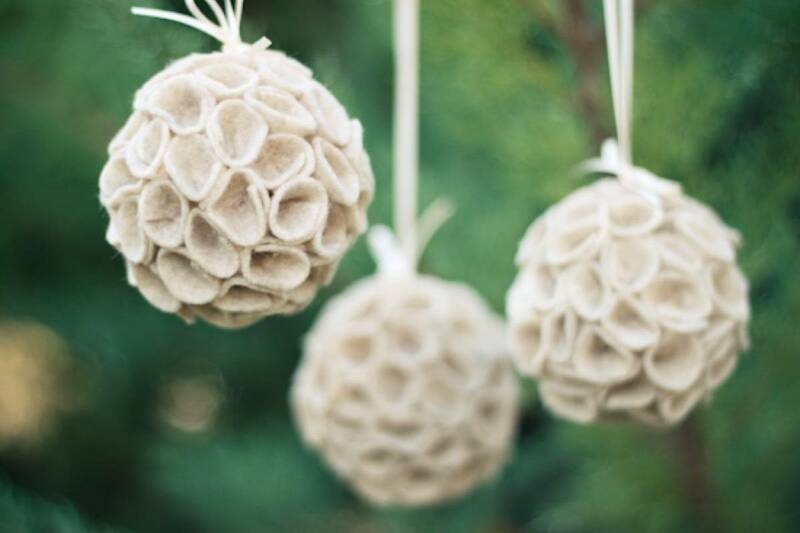 How sweet are these natural felt baubles? Finally on this DIY Christmas ornaments list - this crazy-cool idea for making raised patterns! Looking for more than just do-it-yourself ornaments? Try this roundup of stylish Christmas decor!